Meerut reflects an eclectic mix of culture, traditions and art forms, which despite the changing times has retained the ancient roots. The origin of Meerut can be traced back to 273 B.C, following which, the city has gone through a transition from the ancient era of Mahabharata, the Ashokan times, the Gurjaras and finally, the British occupation in Meerut and rest of India. In present day, Meerut local population is represented by the Jats community, Rajputs, Tyagis, Gujjars, etc., each of whom have retained their cultural identity and thereby contributing profusely to its rich cultural heritage and practices. With the eclectic mix of cultures and traditions all blended well into the modern vibrancy of the city culture is what that reflects the present day life of Meerut. 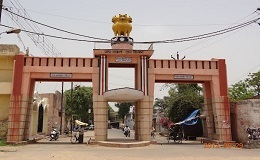 Meerut is located on the fertile banks of Ganges and Yamuna and hence from time immemorial, people here have engaged themselves in agriculture and allied activities. Community festivals, revelry and celebrations, have been practiced since ancient times. Also, the presence of mosques, temples and the gurudwaras goes on to prove that communal tolerance and harmony were present in the past. 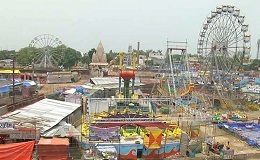 The Nauchandi fair is a popular festival that takes place here annually, it first started in 1672. Even during the British period, the Nauchandi fair was popular among the locals. It was held with great pomp and show, reflecting the nationalism and patriotism, and there are legends attached to it as well.